She serves as Oda's family tactician. Nagahide is usually quite friendly and soft-spoken. She is usually seen smiling, and even takes her cheery personality to the battlefield, where she will greet her enemies with smiles. She shows a high degree of self-control, and is even able to keep her cool while being threatened by Kastuie. She enjoys playfully teasing those around her, such as when she makes fun of Yoshiharu when Nobuna dubs him "monkey" (サル), and usually tries to lighten up the mood in serious situations. 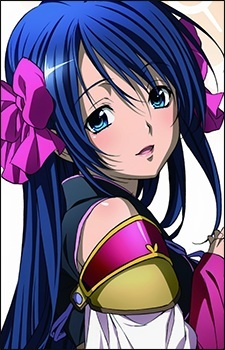 Being Nobuna's tactician head, she is very intelligent and insightful. She is able to tell immediately that Nobuna is troubled by Dousan's decision to die in battle. One of her notable quirks is that she rates, actions, comments, and anything else she finds amusing with "points" (点 ten), with the higher number being more favorable. This is most likely because, as a tactician, her job is determine the best course of action to take.